The Rebuild Rowlett fund is nearly empty. We need to fill it back up. 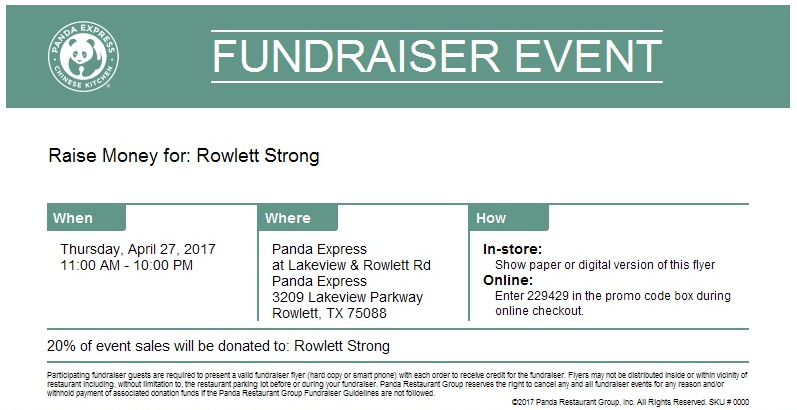 Enter “Rebuild Rowlett City-Wide Spirit Night (or day).” Restaurants all over Rowlett and Rockwall are invited to help by donating a percentage of their receipts on January 26 to the Rebuild Rowlett fund. To sign your restaurant up, click here or on the link to the left. Check back here often to see a list of participating restaurants. And please tell restaurant owners you know about the event. We’d like to see as close to 100% participation as we can get.